The species is found in the Palearctic ecozone. Its range includes Europe south of 62 N, Russia eastwards to th Urals, Asia Minor, Iraq, Iran, North Africa, and the Canary Islands. The taxonomic status of the species in Armenia remains unclear, most probably the country is inhabited by subspecies M. j. persica (Le Cerf, 1912). 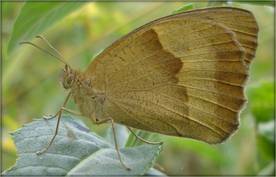 Meadow Brown occupies entire country occurring in wide variety of habitats, between 400 and 2500 m a.s.l. It uses range of Gramineae species as host-plants. The species is slightly uncommon to common in various habitats showing the highest number in the forests, woodlands, and meadows. 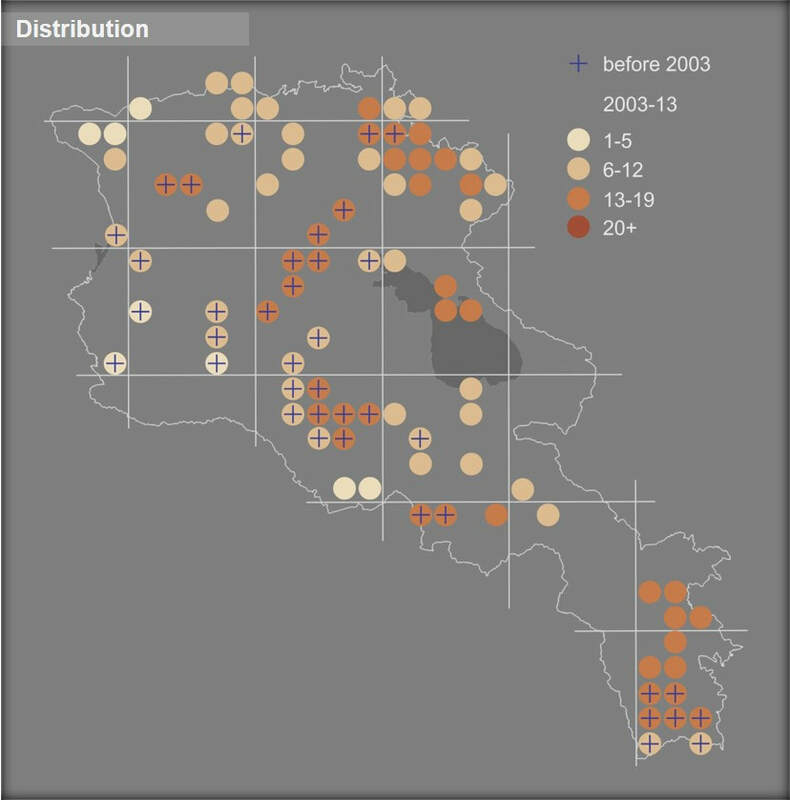 The population trend of Meadow Brown in Armenia in 2003-2013 shows moderate increase, which is most probably result of its high-level adaptability and opportunity to occupy empty niches, lwft by habitat specialists in degraded and transformed habitats. The Meadow Brown is not included in the Global and Armenian Red Lists, as well as in CITES and Bern Conventions, but it was evaluated for the European Red Book as Least Concern. In Armenia it deserves the same status, especially taking into consideration that the species occurs in number of Protected Areas, Emerald Sites, and Prime Butterfly Areas. Obviously the Meadow Brown in Armenia doesn't require development of specific conservation measures, however it is important to continue its monitoring as an indicator of degraded habitats.